The treadmill is a tool that is not explored as much as it should be. It has a reputation of being boring compared to running outside. As much as there is a good deal of truth to this, it also offers many benefits that can’t be replicated on the roads for athletes of all levels. Learn more about this excellent training tool in the article below. Running on a treadmill with zero degree incline allows you to run faster than you would on the road, but with the same aerobic load, which means you can run faster for longer, thus developing the motor skills associated with that improved speed. Make sure you keep the treadmill completely flat (no incline) at 0% grade, not 1% as some coaches or articles recommend. What does this mean? You have a greater benefit from the same workout. This is because the feeling and load when you run for example at 4’30″/ km on the treadmill is easier than the same pace when running outside, so in order to generate the same aerobic load you are able to increase the speed. If you can run at 4’30″/ km for 5 km outside, it is likely that you can hold around 4’15” / km on the treadmill, at the same aerobic load, same heart rate and very similar perceived effort. However, you work your motor skills at a faster rate, and by doing it frequently, your muscles will be used to working and getting that rhythm and you end up running faster because you are training your legs at a faster rate than your aerobic system. Fewer injuries and faster recovery is another benefit of treadmill running. While it is crucial, especially for long races, to get some pounding into the legs from the long runs, for most of the other run sessions, the impact on the legs from a treadmill is lower than running outside. This allows the athlete to train at a higher quality and volume without increasing the risk of injury. The treadmill allows you to better monitor your workout improvement and that gives you the opportunity to better understand how your body responds to external factors such as sleep, diet or stress. The more often you run on the treadmill with consistent variables, a feedback is generated on where you are in terms of fitness in relation to your recent training. This can also be a gauge for your fitness level without the need of entering a race very often. This is only possible when factors that are variable outside, become controllable on the treadmill, such as gradient, wind speed and temperature. As you get used to doing your running on the treadmill, you can simulate the reality of a triathlon race. You can use gradients, or combine with a spinning bike to simulate your race day needs. Depending on the gym, you can swim then run, or lift weights then run and that will teach you to run on tired legs. 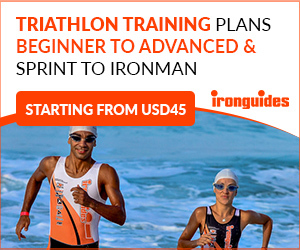 As long as you do every workout in order to run with the best technique, you will greatly improve your ability to run well in a triathlon. 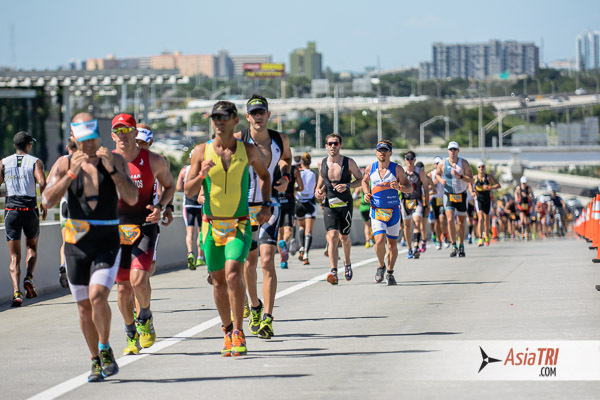 One of the major limiting factors of every athlete is to run at an appropriate pace both in training and races. The treadmill helps you learn to control your pace, because unlike running outside, if the pace is too fast and you need to slow down, you have to manually make this change in speed and slow the treadmill down, while out on the roads, your speed may drop without you noticing. Each time this happens, it is a stimulus for you to try to maintain the next repeat or run at the same speed until the end. This also simulates running with a strong training partner since when you run with a faster athlete, it is easier to stick to that faster pace compared to running alone. The motivation to run with a training partner helps you achieve new speeds and goals. The same can be done with the treadmill, because you need to make the decision manually, to “give up” when you slow the treadmill down, or compared to outside running, you decide to let your training partner go. For some athletes based in big cities, the commute to a park or a track can just take too long, while there is usually a gym close to home with a good treadmill (which reaches at least16km/ h). You have the benefits of finishing the workout at the gym, either before or after work, in addition to the always mild temperature, regardless if outside it is too hot or cold. Safety is also another reason for treadmill training that should not be ignored. Some athletes only have the opportunity to train early in the morning or late in the evening. The treadmill allows athletes with non-traditional schedules to train safely at whatever the time they have to run, and it also keeps them safe from cars or bicycles. The main reason for most athletes to not use the treadmill is the mental part, we may all agree that a run on the treadmill without a challenging set can be relatively boring and it just won’t beat the fun of running outdoors, especially in a nice place with a group of friends or in nature. Enjoying training is one of the reasons why we do this sport, and the lifestyle benefits. I had an athlete who once told me “I refuse to train indoors, I do triathlons to feel the wind blowing through my hair,” which is an understandable argument. But once you care a little about performing in races, or you find yourself in a situation and circumstances where you aren’t allowed to train in nice environments, try to structure your workouts into sets on the treadmill and it can become extremely fun and challenging. Every athlete must also learn to understand the positive side of every situation, in addition to all the benefits already mentioned in this article, running on the treadmill makes you mentally stronger and not easily distracted. 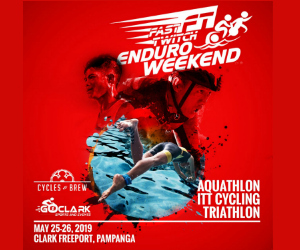 This has a great value in triathlons, as you will find yourself in a situation when you will need to focus on the effort you are doing, especially later in the run leg when you are getting fatigued.